In the early 1980’s, many large firms started offering a 401k rather than a pension program. This transition left the burden of you and your family’s financial future squarely on your shoulders. To make matters worse, investment possibilities have proliferated—there are over 9,000 mutual funds today compared with less than 1,000 in 1975, and over 20,000 investable domestic stocks compared with 6,000 just 20 years ago. So has the media which hope to attract the investing dollars by spending billions in advertising that push those new products. In recent years the press, radio, TV, the internet, brokers, and mutual fund companies have simply flooded the public with information about business and investing. There is so much information floating about how is an investor expected to know where to invest? Whom to believe? What to believe? Where’s the best place to put your money? The question comes up again and again: What to do? What to do? Is there a simple strategy that makes sense and works? The short answer is yes. That is the goal of this page. This is our time. For we now have the ability to purchase stocks online through a discount broker. A trade that would have cost $50 a trade can cost as low as $7. This means while the rich will continue to get richer, the playing field has changed to allow the ordinary person a chance to create lasting wealth for multiple generations. A Morningstar study showing that five-year returns for the period ending December 31, 1995, were 12%, but the average investor returns were only 2.5%. Most investors, apparently, were buying at the tops and selling at the lows. They were buying when the market was doing great and selling when the market was in decline. Investors are plagued by doubts and uncertainties, even when things are going well (Should I sell now or wait for even more gains?). Your portfolio will go up and down; this can never be avoided if you hope to have reasonably good long-term gains. No investor can hope to succeed without having the ability to stick to a plan. You can’t let your convictions be shaken, or you’ll jump from pillar to post the moment times become difficult, and, in the end, have little to show for it. Yet only if you’re comfortable with what you’re doing will you be able to stick to your plan. There are, certainly, a few kinds of investment such as troubled companies, options and futures, or outright scams, where you can lose your money with no hope of ever getting it back. But in most cases, in most reasonable investments, we might say, the notion of risk is really more precisely a notion of volatility. If you feel so insecure about an investment that you’d be tempted to sell on a 10% or 20% decline, you need a better and more understandable investment. If you don’t have faith that an investment will rise, tough times may prompt you to sell. The right long-term investment will be, ironically enough, one that becomes more attractive to you as it declines. The return you earn is a “payment” for accepting the “bouncing principal,” and it is also a payment for accepting the fact that you might need the money at a time of downward fluctuations. Since World War II the average annual inflation rate for the past sixty years has been 4.10%. And inflation compounds. As prices rise each year, the value of your original investment dollar declines. Inflation marches on, quietly, rarely making headlines, and static dollars fall further and further behind losing purchasing power. Put simply, if prices of commodity double, the value of your investment must double merely to stay the same in terms of purchasing power. The goal isn't to match inflation; the goal is to beat inflation to growth wealth. At 4% inflation, prices double every 18.1 years. Except for short-term parking of funds and to preserve fixed amounts that you may need in five years or less, all investors, whether they are retirees or corporate pension plans or churches or foundations, must say “goodbye to bonds,” to T-bills, to bank C.D.s, to GIC’s, to money market funds. For fixed-income investments are also fixed-principal investments, and the real value of our principal—as well as the real value of your “fixed” income— will diminish over time. The important point here is that investors all too frequently buy bonds because they are “afraid” of the “market.” This would be fine if bonds gave back a return that at least exceeded inflation, but not only do bonds underperform stocks; the chances are high that in any given period bonds will not beat inflation. Further, most people are still living in a sentimental past when it comes to understanding bonds and their market characteristics. You must bear in mind that until 1978, the Federal Reserve Bank tightly controlled interest rates nationwide. In 1978 however, the Fed decided to let interest rates float freely. Commencing from the date of “freedom,” bonds became almost as volatile as stocks. Yet most people still think of bonds as in the old days, with low volatility. Yes, they’re still less volatile, but just a pinch less so. Hardly enough to make up for the radical haircut you take when it comes to returns. It’s really about creating a kind of compounding machine that sits quietly off in the corner working for you while you go about your business. It’s about harnessing the true power of time and growth, the incredible accumulation of modest gains into enormous ones which is the essence of compounding. The gains are like bricks: you slowly and carefully place one atop the other. By and by—though not instantly—the shape of a building emerges. Once you’ve got a strong structure, the building can last many lifetimes. Many people can’t wait. They want to throw up plywood pre-fab in a weekend. But that’s like a shelter in a fable; in a strong wind there’ll be nothing left save a pile of rubble. However, the bricks of this compounding building aren’t like the bricks you know. These bricks have the ability to generate new bricks, like a living thing. And these bricks can grow larger, like a living thing. And the bricks that they generate can grow larger, too. Compounding is the money that money makes, added to the money that money has already made. And each time money makes money, it becomes capable of making even more money than it could before! This is called a virtuous circle, and it’s what we want to get working for us. Reinvestment brings you more and more shares, each of which earns dividends and is subject to the effects of dividend growth. The effect of compounding is not great over short time periods, but it really starts to add up as the horizon grows. To take an extreme case, suppose one of your frugal ancestors had invested $5 for you at [only] 6% interest 200 years ago. How much would you have today? The future value factor is a substantial (1.06)200 = 115,125.91, so you would have $5 x 115,125.91 = $575,629.53 today. Notice that the simple interest is just $5 x .06 = $.30 per year. After 200 years this amounts to $60. The rest is from reinvesting. Such is the power of compound interest. Time is all you need. The effects of compounding increase markedly over time. Each year your gains accrue to the principal amount that has increased in previous years, not just to the principal you started out with. Compounding is really one of the great processes on earth, and it’s given free to all who care to participate in it. Unfortunately, few do. Think of anything you’ve done over a long period of time, whether it’s a skill or a relationship or a hobby or even just living. You’re probably a lot better at it and you probably know a lot more than you did when you started. This is the effect of compounding. This is the cumulative return. It’s not very different in investing. The real difference is that you must learn to be passive. That is, after all, the definition of an investor: a passive part owner of a business, a shareholder. The trick is simple: find a business with reliable growth that will share that growth with its owners, be patient and watch it grow. Fast growth is not the goal, for fast growth is not reliable growth and isn’t worthy of your patience. Reliable growth, no matter how modest, is what will reward you in the end. Long-term, the business in which you have invested will experience a compound growth of its own, and you will be a part of it. Dividend growth is the critical piece in the puzzle for creating a portfolio that will serve you over the years. Pay attention. This is a simple idea, but it is also the single most important idea for long-term investors. The reason it is so important is that dividend growth drives the compounding principle for individual stocks in a way that is certain and inevitable. "It is an authoritative force that compels higher returns regardless of the other factors affecting the stock market." Let’s say you have two stocks with everything else being equal. Stock A pays you $100 per year and Stock B pays you $200 per year. Which stock will have a higher price? Of course, Stock B will sell for twice the price of Stock A, at which point they will both offer the same percent yield. The important point is that an instrument that produces income is valued based on the amount of income it produces. And if it produces more income, it is worth more. The same would be true for, say, an apartment building—the more income it produces, the higher the market value. Or a hardware store—again, the more income, the more an owner could get for the store if he wanted to sell the business. What makes rising income that comes from a growing dividend so attractive in a yield stock? You not only receive greater income as the years go by, you also get a rising stock price—because the instrument producing the income (the stock) is worth more as the income it produces increases. In effect, you get a “double dip” when you invest in high-yield stocks that have rising dividends. You get the income that increases to meet or surpass inflation, and you get the effect of that rising income on the stock price, which is to force the stock price higher. If I could get words to jump off the page and pull on your sleeves or tweak your nose, I would. But I’m stuck with words, so the least I can do is suggest that you read the last paragraph again, and remember it, and remember it well. And I can repeat, and repeat, so you don’t forget: you get rising income, and the increasing income makes the stock that’s producing that income increasingly valuable. Dividends and dividend growth are the real-life signal that a company has the wherewithal to pay you dividends, that it has your interests at heart in the fact that it pays you dividends, and that it is experiencing real growth as proven by the real growth in its real dividends. Bear in mind that we’re not dealing here with some financial trick or some ponzi scheme run by unscrupulous corporations’ intent on boosting the price of their stock. On the contrary, the very attention we place on rising dividends puts us squarely in the position of “owners” of a company, of true investors who understand that a satisfying and reasonable return from a stock investment isn’t a gift of the market or luck or the consequence of listening to some market maven, but it is the logical and inevitable result of investing in a company that is actually doing well enough, in the real world, to both pay dividends and to increase them on a regular basis. Dividends are paid from earnings. When a company has reached a certain level of maturity and stability, it begins paying dividends, not unlike the way in which an individual begins saving once she’s reached a level of income that satisfies her basic needs. But many companies perceive an earnings report as an opportunity for “creative accounting.” Sales can be booked early or late. Liabilities are written off right away or amortized. Contracts might be recorded as immediate income or only as and when paid. Capital asset sales are sometimes deemed ordinary income. There are a million ways for companies to “look good” at earnings time, in hopes of supporting their stock prices. Don’t forget, a huge share of corporate executives’ compensation, and often their very jobs, are dependent on either meeting their earnings objectives or increasing the stock price, or both. So companies have a big incentive to “put their best foot forward.” That’s why dividends are a kind of acid test or litmus paper that reveals the true state of a company’s finances. As Geraldine Weiss so aptly observed, “dividends don’t lie.” In order for a company to pay a dividend, it must have the money to pay it with. Earnings can’t be some accounting sleight-of-hand. They must actually be there, in cash. Thus, while we as passive investors can never know as much about the companies we invest in as we’d like, we can know one thing: if a company pays a dividend it has the cash with which to pay that dividend. Further, a company that raises its dividend is truly signaling the state of its business to investors. Picture a boardroom, and the classic board of directors’ table filled with wizened business people, people who know that there are fads and fashions and cycles, and things can go up and down, and even go bump in the night. These directors know just how well their company is doing or how poorly. They know how much will be needed to fund capital expansion or research and development, or the next takeover. They know the whole financial picture, and they also know that dividend reductions are death to stock prices. The one thing a board never wants to do is decrease the dividend, so increasing a dividend is a clear statement that the company’s fortunes are positive—or at least positive enough to keep paying and to raise the dividend. In other words, a company can tell you about its earnings, but there is always certain “flexibility.” There is no flexibility when it comes to paying and increasing dividends. The company must have the cash to pay to you. What you see is what you get. Through the dividend, a company can show you how well it’s doing. So dividends are real, like the income from an apartment building or a liquor store or a bank CD. And dividend growth is real. Neither dividends nor dividend growth are some propaganda from the company, nor some hype from a brokerage firm or newsletter writer, nor some error in judgment by a finance magazine. This is a good thing, for we wouldn’t want to build our compounding machine on a foundation of chimera and public relations ploys. We want our parts to be real, working, brand-name, durable. In these days of aggressive CEOs and accounting at many firms, consideration of dividend growth as a kind of litmus test of previously reported earnings is not a trivial feature. Take your pick: a signal about future prospects or a verification of past reports—in either case its bottom-line valuable information available nowhere else about your investment. Now back to dividend growth as the driver, the energizing force, of the compounding machine. Let’s look first at just the income side of the ledger, and what consistent dividend increases do to your position as an investor. Some portfolios that are stuffed with General Electric or Exxon or Merck purchased in the fifties and sixties. And the current income from these positions is often 100% or more of the original investment cost. Often these investors don’t want to sell for fear of paying taxes. Basically, if you’d like to have an annual income equal to your investment capital, all you have to do is buy the right stocks and sit on them. Compounding dividends will do the rest. In a hurry? We might be able to speed up the process a bit through buying stocks especially selected to play an active part in the compounding machine. In any case, if you want the end result you’ve got to give it time. Can you be satisfied with a 20% annual return that rises even higher every year, a return you can actually put in your pocket without spending principal? You can get there in less than two decades . . . if you stick to the program. After year one or year two or year three, it’s hard to say exactly when the pressure of a higher yield alone begins to force the stock price upward. One would presume that the stock would be treated well in the marketplace because it was at least doing well enough to raise its dividend, and that’s usually the case, though there’s no guarantee, of course. Sooner or later, assuming roughly “normal” price/earnings multiples and interest rates, and roughly “normal” oscillations in investor preferences for different kinds of stocks, the value of the increased income of your stock must push up the price of the stock that produces the income. For stocks compete not only with each other for investors’ dollars, they also compete with interest rate instruments. Sooner or later, even if the market hates this particular company—which is highly unlikely if it sports a record of both earnings growth and dividend growth—it will rise as it becomes more attractive than other kinds of income-producing instruments such as bonds. In fact, all things being equal, a perfect-world result is simple to divine: the stock will rise as much as its dividend income rises. If the income doubles, the stock should double, roughly speaking. If the income goes up 50%, the stock price should follow. In other words, that stock whose income return on original investment rose fourfold to 18% in fourteen years would also rise fourfold in price—pushed up by the value of its rising stream of income. One may argue that this is all very theoretical, but the real-world concurrence with the principle involved is simply uncanny. In most cases, stocks rise at least in tandem with the rise in their income, sometimes much higher than that (when the market decides the stock has been “undervalued” and investors don’t require such a high yield in order to buy it, or when the consistency of growth becomes so attractive that investors are willing to pay more for it). We’ll look at many examples later on. We’ve seen that compounding in stocks has an amazing effect when given some time to work. But compounding with reinvested dividends has an astronomical effect over time. It turns out, according to Ibbotson and a number of subsequent studies which have followed in his footsteps, that dividends are the single most important factor in long-term compounded returns (remember, they are always positive, each and every quarter). It would appear that Ibbotson attributes over 97% of the long-term total return from stocks to dividends and their reinvestment in more shares (price change alone was 97% of the total with dividends reinvested). The difference in return between stocks without dividends and stocks with dividends is as vast as the difference between the total returns of stocks and bonds. Ask any financial professional how much of total returns from stocks is attributable to dividends, and they’ll tell you “about half.” Which isn’t so far from right, since as we saw above, the average dividend yield was a bit less than half of the annual total return of 11%. But they forget that the dividend gets reinvested in more shares, which themselves are increased by total return, and which themselves yield dividends to be invested in yet more shares. Soon you have two shares for every one that you started with, then three, then four. A company that has been able to increase its dividends for over 25 years proves its sustainability even in troubled markets. You will find most stocks that fit these criteria to be stocks that do not need a strong economy to grow (called non-cyclical). Products such as food, medication, cleaning products and cigarettes are used no matter state the economy is in. The current dividend yield is important, because this will determine the total return. A dividend growth rate of 7% will double every 10 years, while a dividend growth rate of 14% will double nearly every 5 years. For example, if you have a dividend yield of 3% and dividend growth rate of 14%, in roughly 5 years, you’d be getting roughly 6%, in another roughly 5 years; you’d be getting around 12% in dividend returns. The dividend growth rate is important to calculate long term returns. The dividend payout ratio is like a thermometer for the stock. It represents the amount of dividends is paid from earnings. The higher the number, the closer it becomes to having to cut its dividends. A company cannot consistently keep increasing its dividends if it is paying out too much in dividends. Finally, the P/E ratio is determined by the Earnings per Share (EPS) multiplied by its expected earnings growth. So when you buy a stock, you are not only buying its current earnings, but its future growth. A stock with a high P/E ratio (over 20) is expected to grow at a fast pace. At any time, if the stock starts to slow, which eventually every stocks will, the multiple declines, which result in a drop in P/E. For example, if you were to chose between two different stocks in which Stock A was to grow by 15% but only grew 10% while Stock B was expected to grow by only 1% but grew by 3%. As you can see, you would choose Stock B even though Stock A is growing at a faster rate. The return for investors is determined not by the rate of growth but the rate of expected growth compared to actual growth. I recommend searching Google to find the stocks that meet these criteria. Try to find a second website to make sure the numbers are correct. A company that has been able to increase its dividends for over 25 years joins an exclusive club called the Dividend Aristocrats. 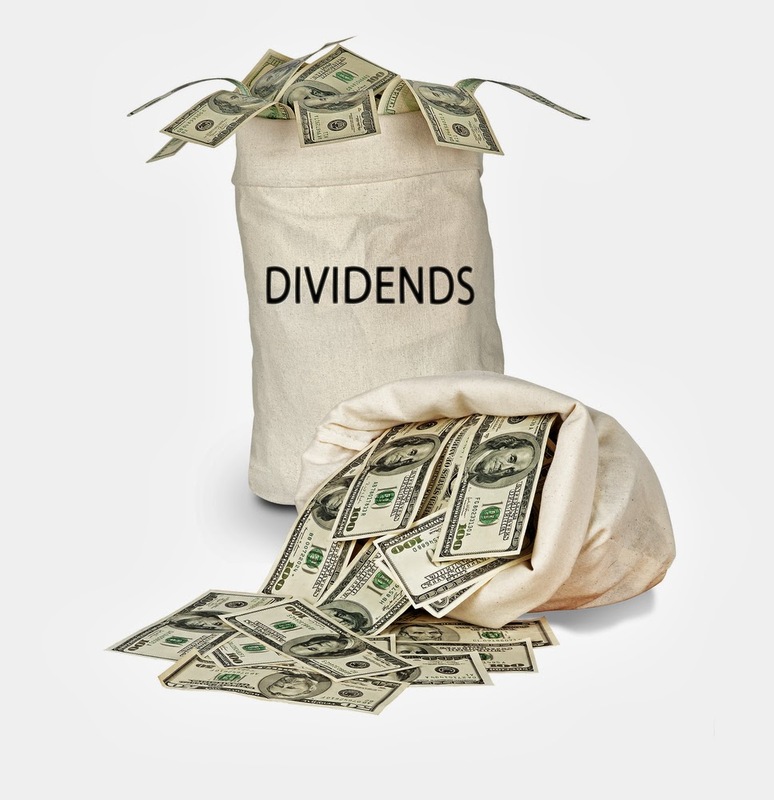 While companies who have increased their dividends for at least 10 years are called Dividend Challengers. Since they have not reached the 25 year mark yet, they are considered to be somewhat speculative. The best part of the strategy is, there are only around 100 stocks that meet the criteria of Dividend Aristocrat. While the list of Dividend Aristocrats and Dividend Challengers are around 200 (considering there are over 20,000 stocks to choose from).